pCloud Business is one of the many cloud storages that you can use if you're a business owner. pCloud Business pricing & plans are quite decent when comparing with other services on the market. They have one of the best security systems in place which is the most important thing when looking for a business cloud storage. After that, you should look for a cloud service that will improve the efficiency of your team by introducing collaboration and sharing features. pCloud does well on both of these areas. As the account owner, you'll also be able to check out the activity logs, create teams, assign team leaders and modify permissions of users. Read the full pCloud Business review down below. pCloud is very flexible regarding its pricing & plans. If you decide to grab a business plan with pCloud, you'll have to grab it for a minimum of 5 users. Each user receives 1 TB of cloud storage. You can pick from two different ways of paying the subscription. If you decide to go with the yearly payment, you'll receive a 20% discount. You will be given 30 days from the start to test the service and see if you like it. Credit card or PayPal information is needed to register from the start, but you won't get charged. You will only get charged if you continue using the cloud after 30 days. All your data will get overwritten if you register the business account with your old personal account, so make sure that you're using a fresh email. 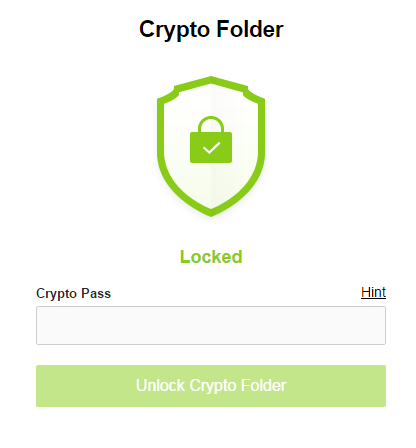 Alongside the business plan, you will also receive pCloud Crypto for free which increases the security of your files by encrypting them client-side. You can preview word, excel and other documents directly in the browser, however, you can't edit them. You can also view videos and photos directly in the browser. With the help of pCloud Drive, you'll be able to do pretty much everything that you can do on your hard drive. If you edit a document, it will get synced across all devices immediately. Then your colleague can continue working on the newest version immediately. pCloud Drive is available on Windows, Mac and Linux. The mobile application is available on iOS, Android and Windows Mobile. The syncing speeds across all devices are incredibly fast, which is probably the first thing that you will notice. The main thing of pCloud is the fact that it doesn't use your local storage to store your data. All the data is stored in the cloud. pCloud Drive is an imaginary drive that looks like an ordinary hard drive. All the data in the drive is stored in the cloud and doesn't take up any space. You can also assign separate folders to be available to you when you're offline. As a business owner, you'll have the ability to create teams to which you can assign different permissions, add or remove users, assign leaders and so on. This feature makes sharing of your files with the right people so much easier than the classical "Send me over the e-mail" or "Bring the files to my office on your USB". Your employees will be able to share their folders or files with other employees or whole teams by establishing a constant connection which will keep everything synced up on all ends. 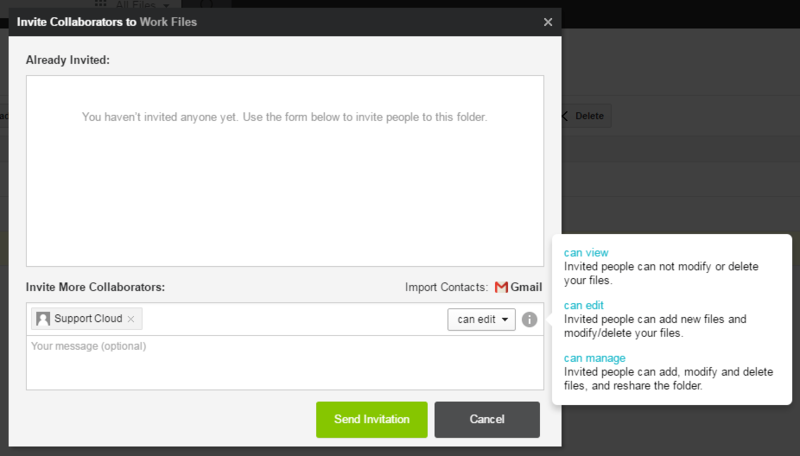 You can also assign different permissions that you're sharing your files with. 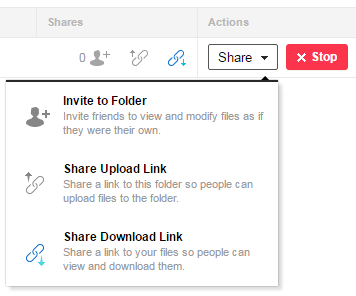 You can also share files with links. 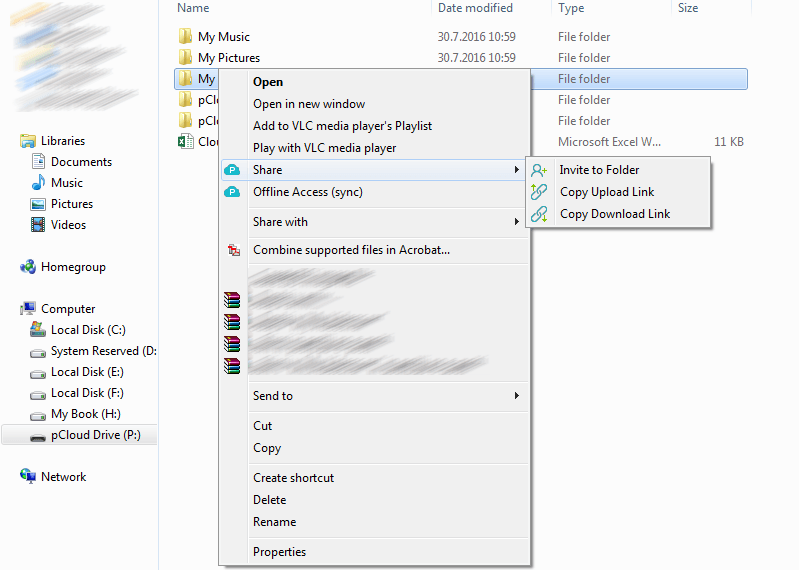 For sharing your files via download links, you receive 1 TB of monthly bandwidth for each user. If one user reaches the limit of 1 TB the links will still work, since the bandwidth transfers across all users, for example, five users = 5 TB of monthly bandwidth. If you run out of bandwidth for the month, you can add another user to your plan, and that way increase monthly bandwidth. As a business owner, you will want to stay in control of what's happening with business related files. You have many tools to help you with that. 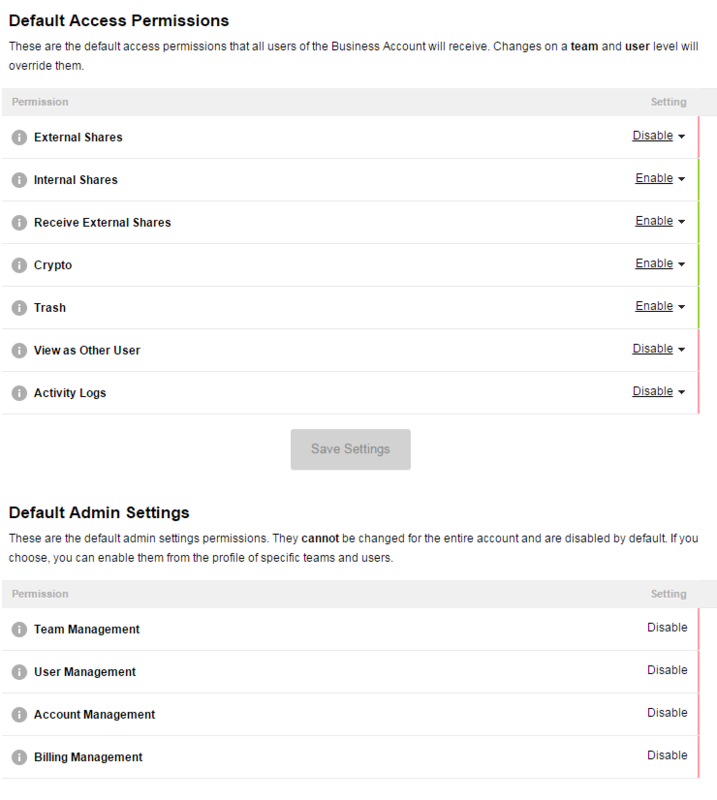 In your account' settings, you'll be able to set default settings for all the users, such as restricting external and internal shares, disabling or enabling Crypto or Trash and allowing everyone to see the activity logs. Branding gives you a bit of personalization and adds some professionalism to your links. You can add a logo and change the background colour of the interface. Event logs show everything that happens across all the users (new devices, permission changes, user and team changes). 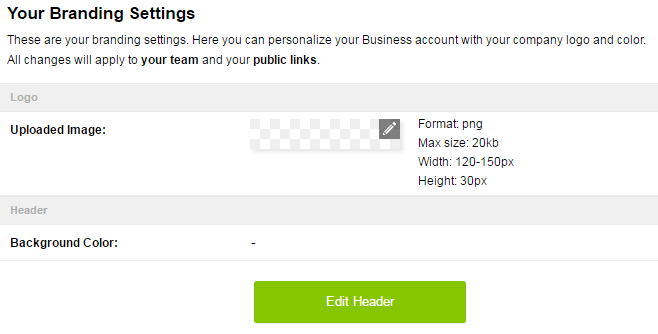 They also come with a very handy filter which enables you to filter by users or teams. Modifying users is very simple - From adding them to different teams, resetting passwords, logging in with their accounts or deactivating them. The size of files that you have on your cloud isn't limited. pCloud has a system in place which enables you to retrieve old versions of files for up to 180 days from the moment they get replaced by a new version. All deleted files are also saved in the Trash bin for 180 days. You can also clean the trash bin yourself. pCloud servers are located mostly in the US, with several proxy points in EU. Every single file is divided and stored in 15 different racks and servers. The system is live with up to 5 racks/servers down. To guarantee your files' safety, pCloud uses TLS/SSL encryption, applied when information is transferred from your device to the pCloud servers. With pCloud, your files are stored on at least three server locations in a highly secure data storage area. With the business plan, you also receive pCloud Crypto for free which is client-side encryption and guarantees the maximum safety of your files. Client-side encryption protects your data in a way so that nobody but yourself can access those files. Even pCloud administrators don't have access to them, which eliminates the threat of a malicious insider. Data servers: Colocation in the States with SSAE 16 SOC 1, Type II certification. 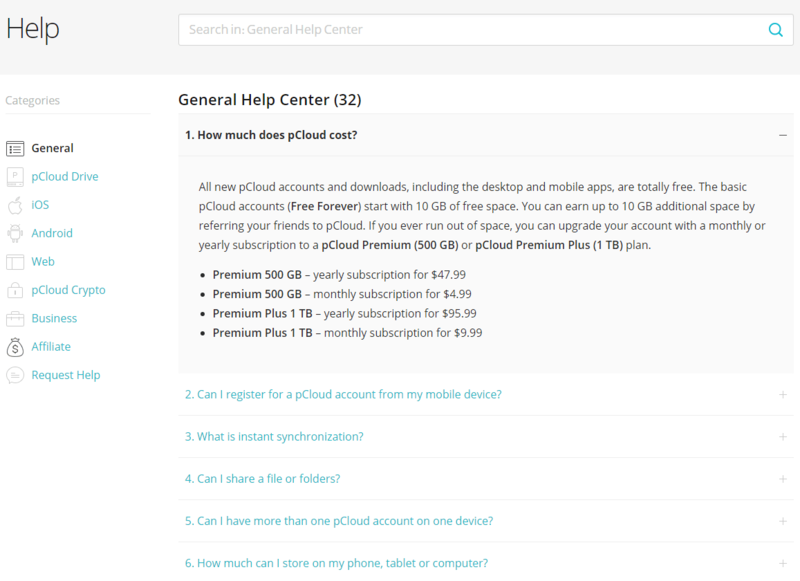 pCloud offers an extensive FAQ base with hundreds of questions answered. There's a high chance that one of the questions you have will be amongst them. If your question isn't there, you can still contact their support team which usually answers the same day, unless you sent the e-mail in late hours. They're usually very helpful and provide useful feedback. After contacting them personally they made a great impression on me, proving that they do care about their customers. You can also call them directly from 7:00 - 16:00 (UTC+1) if you need help. pCloud Business is a viable choice on the market. File sharing and syncing are one of the best on the market. The admin tools that are available to you are quite extensive which enables you to run your business efficiently. 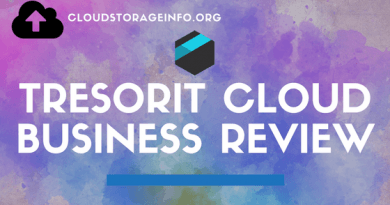 Having a sound file retrieving system is as important as anything else in a business cloud storage, and pCloud delivers an excellent product in this area as well. With its client-side encryption pCloud makes sure that your files are protected with the maximum possible protection on the market. Support is also available to you 24/7, either by email or by calling them directly. Unfortunately, there's no real live editing system in place that would enable your staff to work on the same file at the same time, so you'll just have to use the standard technique of "Me first, you second" while working on the same files. pCloud is all in all an excellent service, and I would recommend it to any business owner out there that wishes to increase the efficiency of his team. Check the pCloud review for personal users to find a detailed explanation of all features. Hopefully, we've gone through everything that you wanted to know about pCloud business within this review. If you have any questions feel free to ask them in the comments section down below and I'll answer them shortly. Thanks for the breakdown on pCloud. It seems like a very affordable cloud storage system, and being provided with 1TB of space is reasonable in my opinion. It seems to have many plus points that would benefit not just business owners, but also college professors and students alike. I will have to try out the syncing speed, which I feel is rather crucial with any cloud storage. Thanks again for this wonderful review, it is really helpful! As mentioned in the review the upload and download speeds are very good when compared with other cloud storages. The syncing speeds are comparable to those of Sync.com or Dropbox. It all gets synced very fast. pcloud prices have jumped during last week. From €125 to €175 for lifetime 500GB account. The 2TB account from €250 to €350. This has made me disaffected from their business. I’ve been searching for a cloud solution for a business. 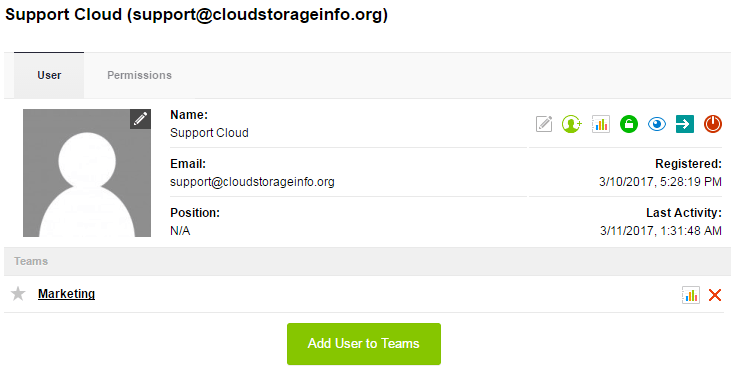 I would need about 10 users, but I’ve never heard pCloud storage before. Thank you for the good explanation of the description and the pros vs. cons review. Plus mentioning all the services included in the pCloud storage. I like the sound of that affordable price for 1TB storage. What happens if I exceed the 1TB? Is there any cost? And is the support system up 24/7? If you want more space than 1 TB per user you can agree with their support team so that they can increase it. The price obviously goes up with that. Regarding the support, as mentioned before you can contact them through email and they usually answer the same or the next working day. If you own a business account you can also call them directly from 7:00-16:00(UTC+1) if you need any help. Thanks for some great information regarding pCloud. I’m a google user myself but this is a great option nontheless. There are groups and teams of people that I know of that would benefit greatly from this business plan product like sports groups charity groups and such. Anyway, I think I will try the free version and to try out all of it’s features. Looks like cloud storage is not that bad after all.. I had some issues concerning online storage, like security for example. But it looks like nowadays the security is way more advanced. The sharing looks as easy as sharing your dropbox files, but they don’t have the 1TB storage for that small price as far as I know? Thank you for the information Dejan! They do indeed have that price. It’s $7.99 per user/month if you go for the annual payment or $9.99 per user/month if you go for monthly payment. I have just read your site and yes cloud storage is very useful nowadays specially if you use more than one devices. The only downside is you can’t open if you’re offline unless there’s an automatic backup on the device? is there a cloud storage that only pay onetime instead of monthly? With pCloud you can choose which files you want available to you offline as well. pCloud actually offers lifetime plans with a one-time payment for personal users. You can check my review on that here. 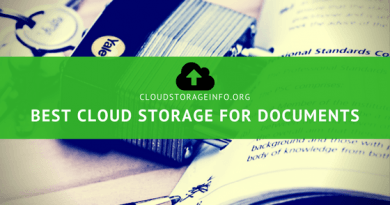 All this while, my understanding of Cloud was very vague.Now that I have gone through this review, I get a clearer picture of what Cloud storage is all about. I am impressed by the functionality of this business storage tool and do not see any reason why any business owner would want to work without it. Would you say that such cloud storage facilities would become popular with large corporate organisations in the future? Well, the current standard is that bigger corporations usually have their own servers in the basement. Those then provide storage for all the employees. But, there are already signs of bigger corps or systems moving to public cloud storages, for example hospitals. Public cloud storages have become a safe place for even sensitive patient data. So I would say yes to your question. By moving to public cloud service you’re saved of having to maintain your own system and focus directly on your business. Great question and thanks for stopping by.